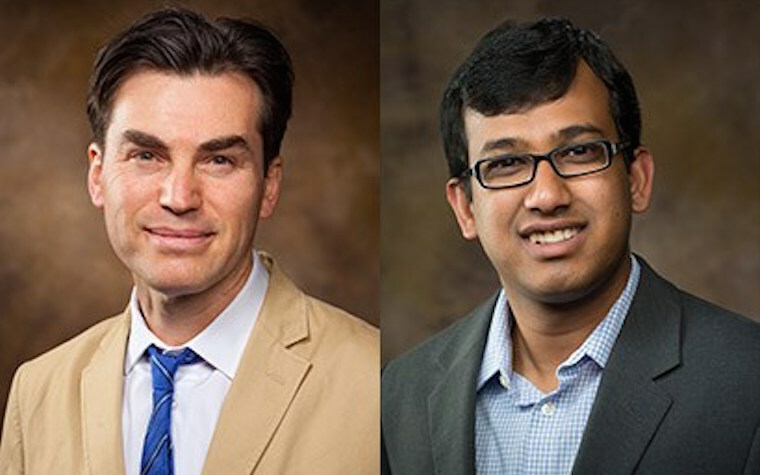 University of Arkansas professors recently led an international group of physicists in the creation of an artificial material with a structure comparable to graphene. “We’ve basically created the first artificial graphene-like structure with transition metal atoms in place of carbon atoms,” Jak Chakhalian, professor of physics and director of the Artificial Quantum Materials Laboratory at the university, said. Chakhalian became a quantum materials investigator in 2014 for the Gordon and Betty Moore Foundation. He was given a $1.8 million grant, a portion of which funded this study. Discovered in 2004, Graphene is a one-atom-thick sheet of graphite. Graphene transistors, predicted to be faster and more heat tolerant than today's silicon transistors, may result in more efficient computers in the future. The University of Arkansas-led team published its findings in Physical Review Letters, the journal of the American Physical Society. Its paper was entitled, “Mott Electrons in an Artificial Graphene-like Crystal of Rare Earth Nickelate. “This discovery gives us the ability to create graphene-like structures for many other elements,” Srimanta Middey, a postdoctoral research associate who led the study, said.